On the 24th of September, BoardAgender successfully ran another round of our trademark SG50 Champions of Change Luncheons, which has garnered the attention and approval of current as well as aspiring directors. 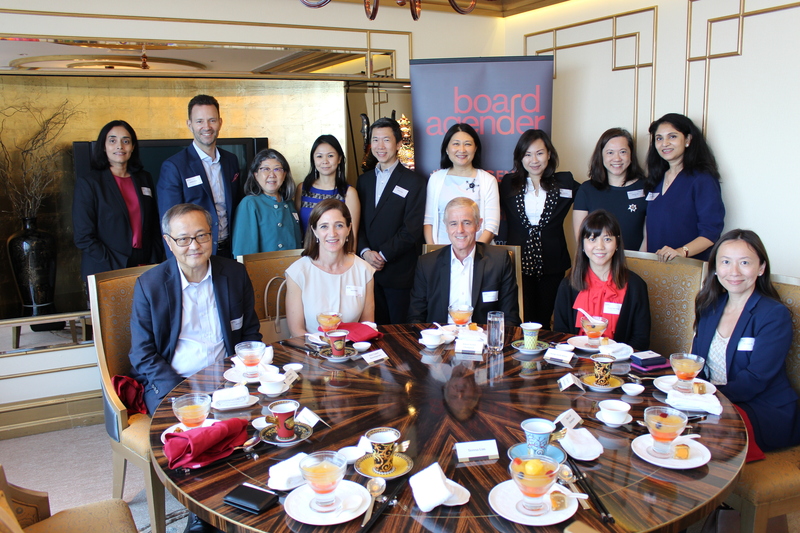 As BoardAgender continues to take the lead in building the ecosystem to raise the profile of potential female directors, a luncheon with BoardAgender SG50 Champions of Change was held to create a platform to introduce potential women directors to the Champions. SG50 Champions of Change comprises of influential leaders across industries in Singapore who ensure that the issues of gender diversity and representation at senior levels of the corporate world are elevated on the national business agenda. BoardAgender invited six SG50 Champions (Simon Israel, Till Vestring, Matthew Driver, Max Loh, Adrian Chan, and Willie Cheng) to meet with the 10 Potential Women Directors. Profiles of the potential female directors were shortlisted and sent beforehand to the Champions, so that the Champions were briefed on the individuals that they were meeting over lunch. Feedback was positive from both the directors and potential women directors. Participants commented that it was an enjoyable and insightful session in a relaxed environment. They were deeply appreciative that the Champions were really helpful and freely shared their wisdom and experience.